Take a tour to uncover the wonders of the Tokyo Skytree. Learn to make sushi at a cooking class in Ginza. Meet a family living in the wooden houses of Gokayama. Discover the art of gold leaf painting in Kanazawa. 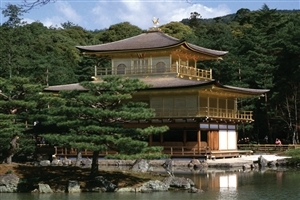 See the revered Golden Pavilion of Kinkakuji Temple in Kyoto. 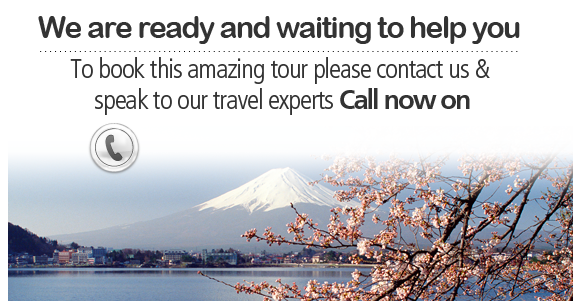 On arrival in Tokyo you'll transfer from the airport to your hotel. There's a Welcome Reception with your fellow travellers and Travel Director in the evening. Your first morning in the city sees you embark on a sightseeing tour of the area. Visit the Sonsoji Buddhist temple, the Tokyo Skytree and the Nakamise shopping street before enjoying an afternoon at leisure. Take a wander around the grounds of the Imperial Palace and see the ancient relics of the Edo-Tokyo Museum before continuing on to Ginza to partake in a cooking class where you can learn to make sushi and enjoy your creations for lunch. Leave the city in the afternoon to head on out to the Five Lakes District. 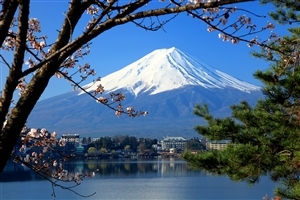 Ride aboard the Kachikachiyama Ropeway (weather permitting) to witness some gorgeous vistas of Laka Kawaguchi and Mt. Fuji. Venture on through the Japanese Alps to the town of Takayama for some dinner at the hotel. Today gives you the opportunity to visit the UNESCO site of Gokayama to meet the family of residents of the Gasshozukuri wooden houses. Later on, you'll get to make washi paper with some of the local artisans before taking a walking tour through the Edo-style streets, sampling sake and Hida beef along the way. Head to Kanazawa to learn all about the art of gold leaf painting, wander through the gardens of Kenrokuen and explore the samurai houses of the Nagamachi District. After taking an express train to Kyoto you can enjoy a Be My Guest lunch at a ryokan where you can also learn more about local customs. The afternoon sees you visiting the renowned Golden Pavilion of Kinkakuji Temple. Sightseeing around Kyoto today consists of the Fushimi Inari Shrine and the Sansjusangendo Hall followed by an evening dinner at the Ninja Kyoto restaurant. Your tour comes to an end today as you head to the airport for your return flight home. Tours and transfers as specified. 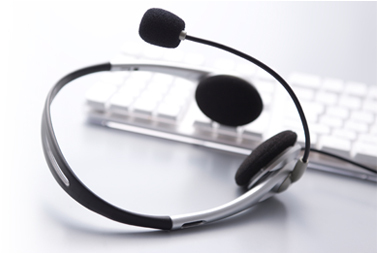 Service of English Speaking Local Guides as specified.